Management and Leadership Archives - Vengel Consulting Group, Inc.Vengel Consulting Group, Inc.
Today companies and employees are adapting to doing more with less. In the midst of continuing economic uncertainty, companies are trying to find ways to control costs while sustaining competitive position. This pressure is acutely felt by employees who may have greater responsibility with fewer resources. So, what do you do when you are asked to take on even more work? With so many in the U.S. still struggling with unemployment, you are thankful to just be working. Do you remain silent and find a way to juggle it all? This question was the subject of an article by Beth Braccio Hering at The Office Professional. The economy and job market may have changed, but there remains a need for communication in the workplace. At work, as in any human relationship communication is the key to developing acceptable boundaries and agreeing upon mutually acceptable outcomes. When your plate is full and you’re asked to do more, a conversation with management can eliminate stress and frustration. Communicate your willingness to pitch in but your dilemma with your current work load. Ask if they can change priority on your regular responsibilities to allow you to help. Clearly outline your current priorities and the time requirement. Be clear about deadlines. 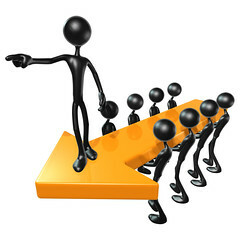 Work with management to establish a clear plan for accomplishing tasks and the priority assigned to each. A quick 20 minute conversation will prevent overwhelm and keep you and your career on the fast track.